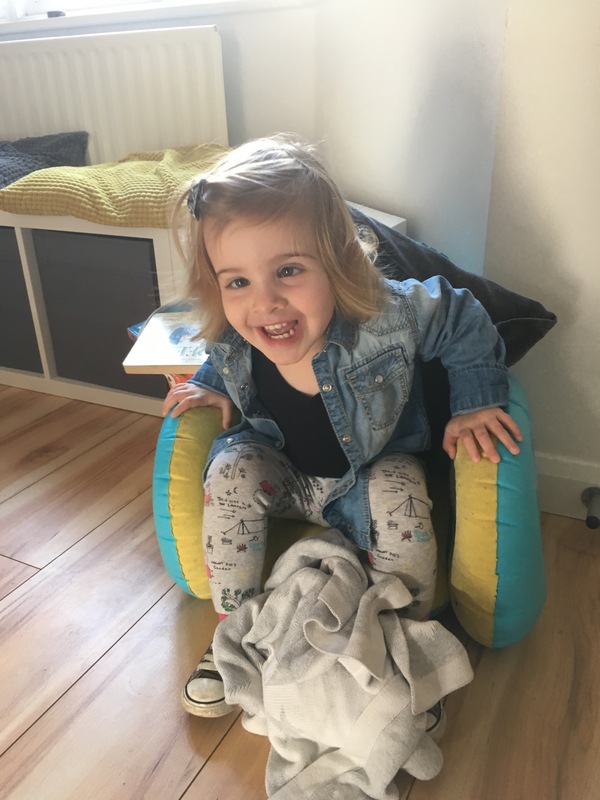 Totsy&apos;s speech – her language is getting more complex every day at the moment, she now frequently links 3 or 4 words and it&apos;s lovely to hear her coming out with new things all the time. Her favourites at the moment are probably &apos;Freya do it&apos;, &apos;I win!&apos; and &apos;chocolate please mummy&apos; although this changes all the time. Tinker – although we were definitely not looking forward to going back to work after half term, Tinker was excited for Monday morning. 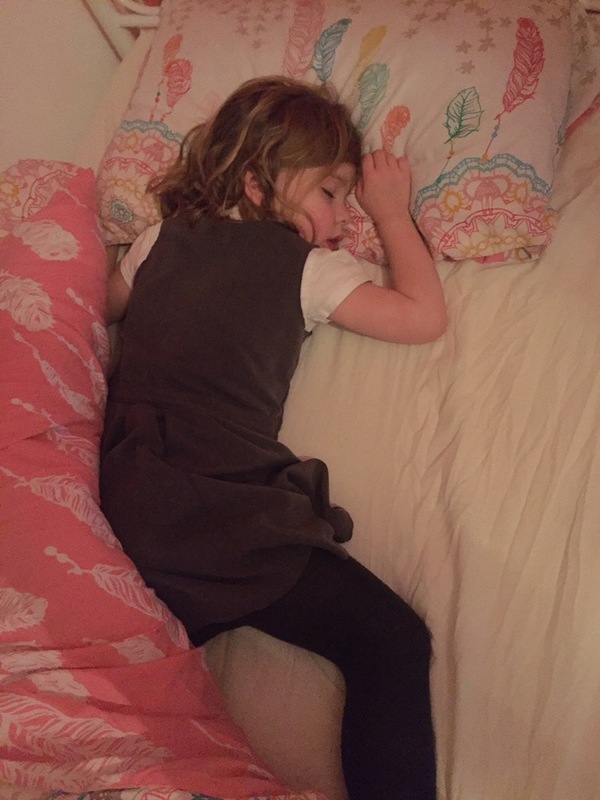 So much so that when we went to tuck her in on Sunday night we found her fast asleep in bed in her school uniform! Fortunately we managed to take it off her again without waking her up. Pancake Day – we love pancakes so pancake day is always really looked forward to in our house. 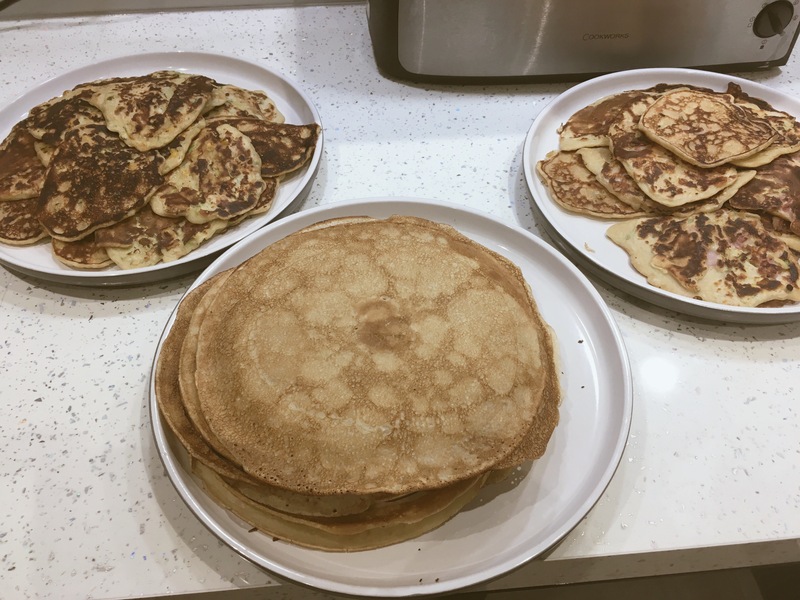 I always make a mountain of pancakes, a mix of savoury and plain and this year we had so many leftover that we were eating them for a couple of days afterwards (not that anyone was complaining!) Tinker and Totsy are the only ones who are not too keen, although our fussy eater Tinker did eat a few mouthfuls of courgette, cheese and ham pancake and said she liked it so maybe we will convert her yet! Weekend lie ins – this weekend has been great for lie ins, yesterday morning (with Tinker at her dad&apos;s) Totsy didn&apos;t wake up until 8am and then came into our bed for milk (her), tea (us) and hot cross buns for breakfast. This morning (after a later than normal bedtime last night due to a visit from my mum and dad) the girls woke just before 8 and we heard Tinker go downstairs, fetch the iPad and then climb into Totsy&apos;s cot and put some songs on for them both. We lay in bed listening to them singing and chatting together, which was so cute! I got my hair cut – I am a bit rubbish about getting my haircut and usually only manage it about twice a year! As a result when I do get it cut I love it and always vow to not leave it so long next time (but then before I know it six months has gone by). My cousin Lisa – when our older children were young we were close and saw loads of each other but as time has gone on this has somehow dwindled. On Friday night for the first time in ages we caught up with Lisa and her husband Frank for a curry and a few drinks, it was so lovely to see them and we really enjoyed it. I know busy lives tend to get in the way but we really should make the effort to spend time with those that matter to us. Broadchurch – the last two series have been so good and we were all looking forward to the 3rd series which started on Monday (Milly and Nathan have been on countdown for weeks!) The first episode had us all as hooked as ever. 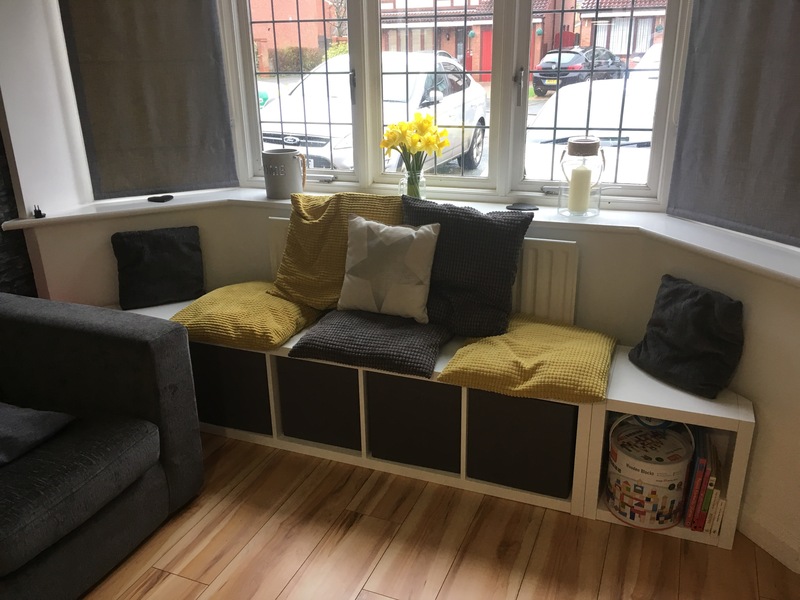 Reading – I don&apos;t know if it&apos;s the influence of World Book Day this week but I have been making an effort to put down my phone more and read a book instead. 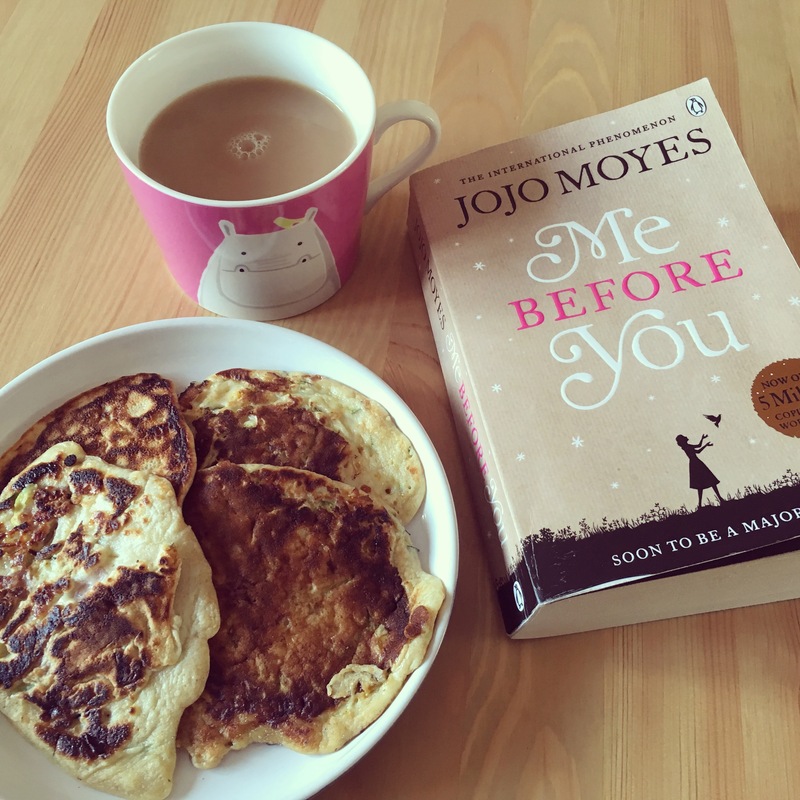 My sister lent me Me Before You by Jojo Moyes, I wasn&apos;t sure if I would like it but actually I didn&apos;t want to put it down! I finished it yesterday with lots of tears and am about to start reading the sequel After You. Tags: pancake day, reading, window seat. Bookmark the permalink.